Last year in boxing will be tough to beat. There was a superfight with a controversial ending, a megafight between an all-time great and an MMA superstar, and upsets galore. 2018 will have a lot of work cut out for it to even come close to matching the spectacle of last year but we're optimists and we think 2018 cannot only match but even outdo 2017. This is the prospective "superfight" that is building up to be similar to Canelo-Golovkin due to the huge interest but promotional problems from both sides. 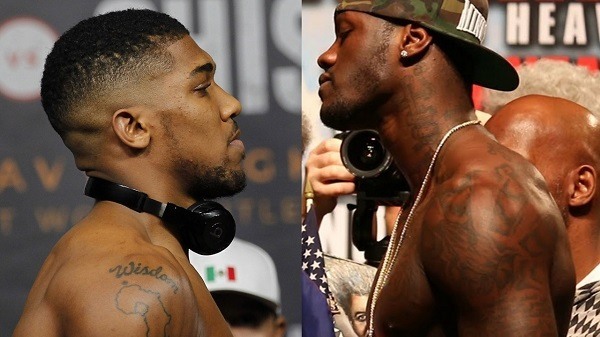 As of right now, Joshua is set to face Joseph Parker to unify the four belts between them while Wilder will take on Luis Ortiz although both can't get through an interview without mentioning the other. Provided no upsets happen, this bout is going to happen at some time. If not in 2018, then 2019 but we'd prefer to see it as soon as possible. Strike while the iron is hot and if these two dance, fireworks are guaranteed and it could be the start of a potential trilogy. It was another huge upset from 2017 albeit a contentious one as almost everyone had Pacquiao winning the bout. Nevertheless, the Fighting Schoolteacher Jeff Horn fought his heart out and upset the living legend. 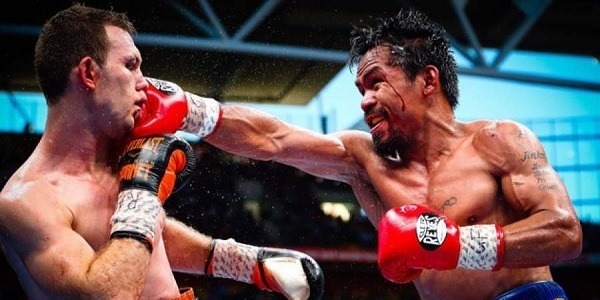 The rematch was supposedly agreed upon but Pacquiao pulled out and Horn instead cemented himself as champion by defending against Gary Corcoran. Pacquiao and crew seem more interested in a fight with Conor McGregor but if the right opportunity presented itself, they'd gladly avenge the loss to Horn. Pacquiao is unbeaten in the first rematch and despite turning 40 this year, still has the chops to hang with young bucks like Horn making this tilt one to watch. The rematch of one of 2017's biggest upsets was postponed by a bicep injury to Haye. It was originally slated in December last year but is being moved to May 5 coinciding with the Canelo-Golovkin rematch. 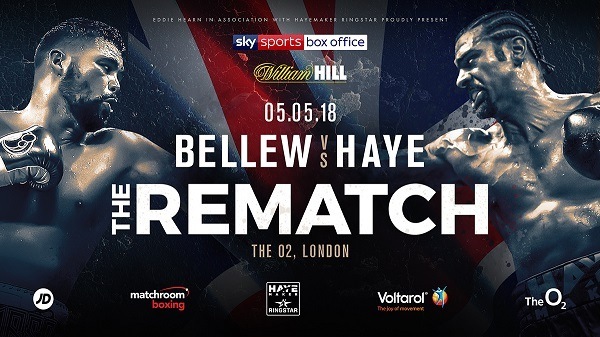 Bellew opens as a dog yet again as Haye incurred an Achilles injury during their first bout, which greatly hampered his mobility until Bellew finished him late. Haye will be looking for redemption and Bellew will be looking to solidify his victory. Their first bout was pretty even until the injury although Haye displayed great sportsmanship by congratulating Bellew. To Bellew's credit, he also had an injury. The rematch could be more intense and more entertaining. Several reports have already confirmed the rematch is happening likely on Cinco de Mayo but it's not official as of today. This is the rematch we don't agree on but will begrudgingly watch as the first fight ended in a sham with judge Adalaide Byrd somehow scoring it 118-110 Canelo despite Golovkin out-punching Alvarez in 10 of 12 rounds and outlanding him 218 to 169 overall. Despite the controversial end, most media outlets still saw the fight as a modern-day classic and most fans wouldn't protest much to seeing it go again. The first fight drew 1.3 million PPV buys making it the highest-selling PPV in recent years without Floyd Mayweather headlining and the rematch is sure to do the same if not more. The Conor McGregor Circus Act: Part II. Let's not get high and mighty and defend boxing's "sanctity" since most of us will end up watching anyhow. For those not in the know, the Malignaggi and McGregor beef grew after a sparring video saw McGregor drop the former two-weight champion. Malignaggi has since erupted on social media accusing McGregor and his team of doing him dirty. Both sides have challenged each other repeatedly either in the boxing ring or the octagon. But for Malignaggi's sake, it better happen in boxing. Not only will this fight, hopefully, squash the salty tirades but it will be more competitive and exciting than the McGregor-Mayweather bout and has a higher probability of a real knockout. Boxing is alive and well and great fights are plentiful. Many Canadians are boxing aficionados and most of them turn to these online sportsbooks, which offer the best betting lines not just on boxing but other combat sports like UFC. Be sure to review these sites and bet responsibly.